On 27 January 2016 (16h00-17h30), the Eastern Partnership Civil Society Forum (EaP CSF) together with the Eastern Europe Studies Centre from Lithuania will organize at the Permanent Representation of Lithuania to the European Union the event “DCFTA Implementation in Georgia, Moldova and Ukraine: Overcoming Challenges and Embracing Opportunities”. Opening remarks will be delivered by H.E. Jovita Neliupšiené, Permanent Representative of the Republic of Lithuania to the EU. The two analytical studies focused on the DCFTA implementation in Georgia, Moldova and Ukraine will be presented during the event. The first study “Economic Challenges of Ukraine and Moldova on the Way to EU” by Lithuanian, Moldovan and Ukrainian experts analyses the difficulties of both countries in implementing the Association Agreements with the EU and provides practical advice based on the experience of the CEE countries. 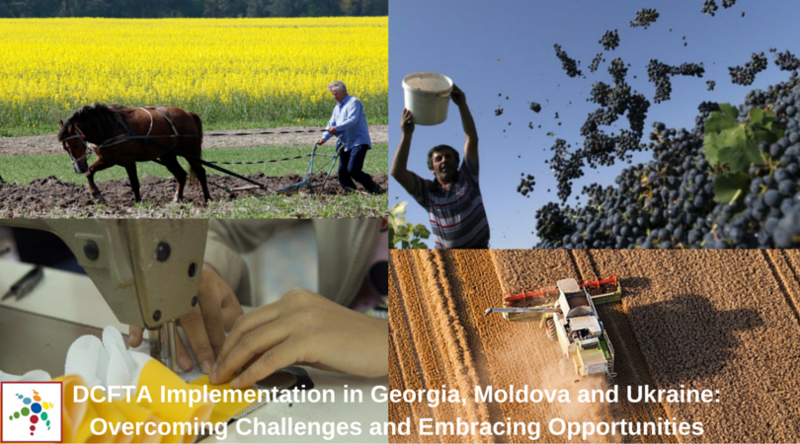 The second study “DCFTAs: Challenges and Opportunities for SMEs” evaluates the impact of DCFTA implementation on Georgian, Moldovan and Ukrainian small and medium businesses operating in agriculture sector and rural areas. The presentations will be followed by the discussion with the authors. Both projects are supported by the EaP CSF re-granting mechanism seeking to contribute to the objectives of the EaP CSF Working Group 2 “Economic Integration and Convergence with the EU Policies” and to enable the participation of the EaP civil society in the economy-related decision making processes.